The Sacred Valley and Lares Adventure to Machu Picchu offers the perfect combination of traditional adventure travel and cultural immersion. This lodge-to-lodge journey will alternate between an exploration of the astounding natural scenery of the Sacred Valley and an intimate look at Andean culture, both in busy towns and in remote of mountain hamlets. 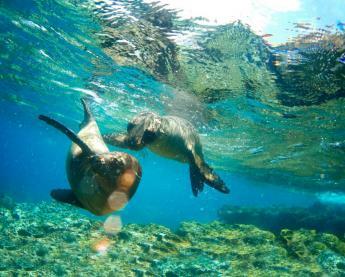 Travelers can extend this trip TWO MORE DAYS for additional adventure! An early morning flight brings you to the Inca capital of Cusco where Quechua speaking descendents of the Incas bustle back and forth in the busy plazas and markets. Colonial churches sit atop bases of smooth stonework laid centuries before the arrival of the Conquistadors. The church walls have fallen many times throughout the years, but the Inca walls remain. The morning is yours to explore Cusco's narrow streets and bustling markets. In the afternoon, you can tour Cusco's traditional markets, talking to the women selling natural medicines and charms for curing heartache and other afflictions. You will visit the Center for Traditional Textiles in Cusco, a local organization committed to preserving the region's weaving traditions. (If visiting the Sacred Valley on Sunday, you will visit their center in Chinchero instead). Watch weavers demonstrate their craft and learn about the history and processes of Peru's most well-known art form. After an early breakfast, your guide and driver will pick you up from your hotel in Cusco to begin your journey from the busy streets of Cusco to the Sacred Valley of the Incas, full of lush green fields surrounded by striking mountain peaks. 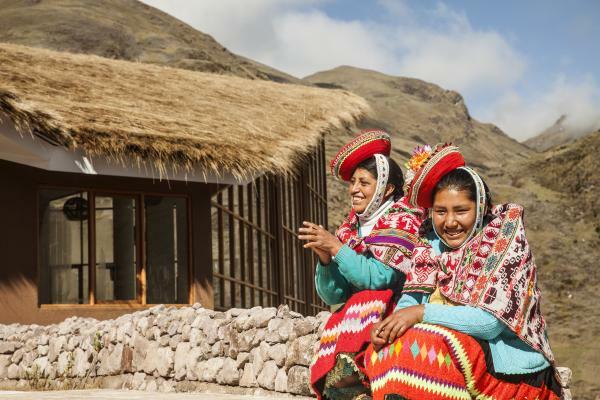 Start your day with either an invigorating hike from the village of Amaru to the community of Viacha, or a visit to the Awanakancha textile center followed by an exploration of the lively town and colorful artisan marketplace of Pisaq. 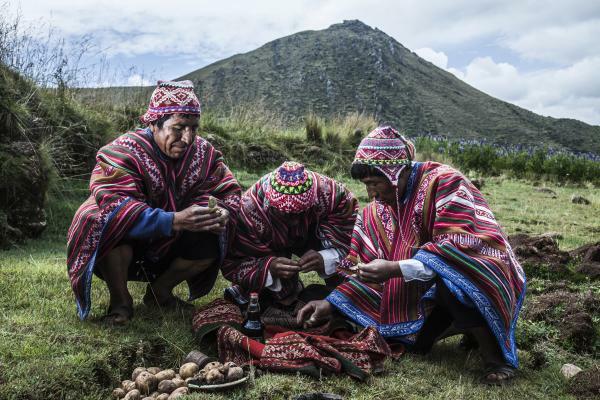 Midday, both cultural explorers and hikers will reunite to enjoy exclusive access to the remote community of Viacha to learn about Andean artisanal farming and enjoy a . traditional Pachamanca lunch. Afterwards, either hike or drive to the Pisaq archaeological site, an afternoon excursion that offers the unique opportunity to explore the complex free of crowds. Cultural (morning): Excursion to Awanakancha for an introduction to traditional Andean textile weaving techniques and an up-close visit with some friendly llamas, alpacas, and vicuñas, all camelids indigenous to both this region and other high-altitude regions throughout Peru. Next, visit the town of Pisaq for a brief tour and time explore the unique goods for sale in its colorful artisan marketplace. Active (morning): Hike from the village of Amaru to the community of Viacha. All-Group Activity: Traditional Pachmanca lunch and demonstration of Andean farming practices with the locals, followed by an optional hike (or drive) and guided exploration of the Pisaq archaeological site. The day begins with a visit to the small town of Lamay followed by a scenic drive into the heart of the Lares Valley. Your first stop will be Ancasmarca for a guided tour of this seldom-visited archaeological site. Afterwards, choose a visit with the expert textile weavers in the remote village of Choquecancha or a hike amidst turquoise blue lakes and towering peaks to the remote village of Huacahuasi, where both groups meet again to spend the night. Huacahuasi Lodge is operated by both MLP staff and members of the local community through a joint venture aimed at protecting the area’s cultural heritage and natural environment–a partnership that demonstrates the evolving role of traditional Andean communities in both the culture and commerce of modern-day Cusco. All-Group Cultural Activity (morning): Explore the town of Lamay and visit the archaeological site of Ancasmarca. Cultural (afternoon): Visit to the remote village of Choquecancha where you will have the opportunity to meet the locals and learn from the community’s expert textile weavers. Begin the day with a scenic drive to the community of Huilloc. 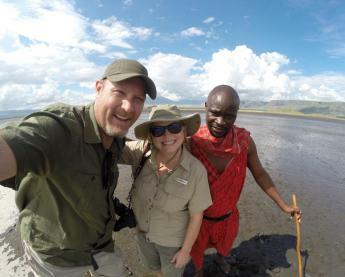 From there, choose a morning hike from the village of Huilloc to the historic ruins of Pumamarka, or an extended visit to Huilloc and the nearby sheepherding community of Marcacocha before regrouping for lunch and a midday exploration of the Pumamarka ruins. After lunch, choose to hike from Pumamarka to Ollantaytambo or drive and spend the afternoon exploring Ollantaytambo’s maze-like alleys and passageways. Note: Afternoon hikers will meet the rest of the group at the hotel upon arrival in the Sacred Valley. 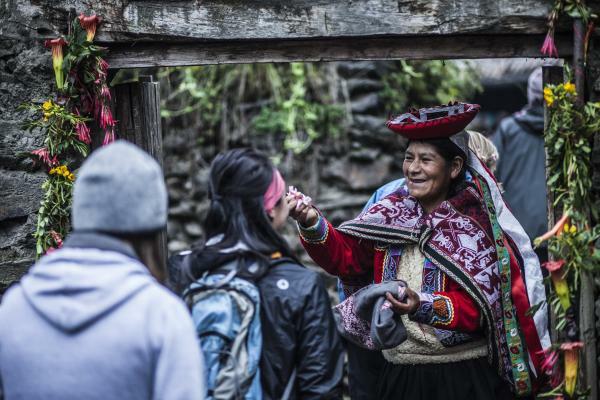 Cultural (morning): Tour the Marcacocha archaeological site nearby and participate, along with the local sheep herders, in a traditional Andean ceremony to honor the Inca gods as protection for the health of the community livestock. Drive from Marcacocha to Pumamarka for an all-group tour of the archaeological site and picnic lunch. Morning: Hike from Huilloc to Pumamarka. Afternoon: Hike from Pumamarka to Ollantaytambo. Optional All-Group Activity (late afternoon): Visit a locally-sourced Sacred Valley craft brewery (subject to additional cost). 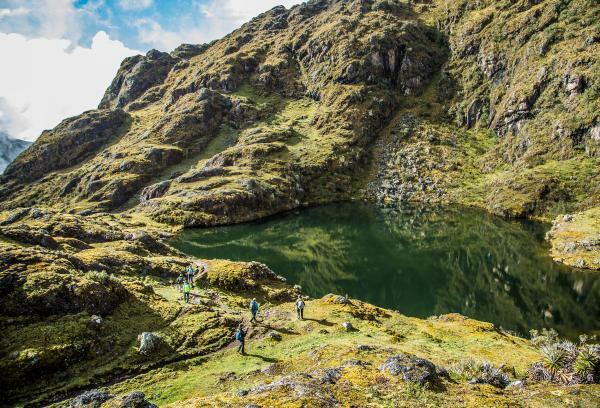 Today, early risers can choose a pre-tour hike to the Inca storage structures high above Ollantaytambo for a magnificent view of the archaeological site and the adjacent lush Urubamba Valley. Afterwards, the entire group will meet at the entrance of the site for a guided exploration of this revered Inca ceremonial center including its historical context, strategic architectural planning, and mystical attributes. Midday, you will embark on a scenic train ride (approximately 1.5 hours) along the Urubamba River to the charming town of Aguas Calientes at the base of Machu Picchu. All-Group Cultural Activity (morning): Guided exploration of the Ollantaytambo archeological site. 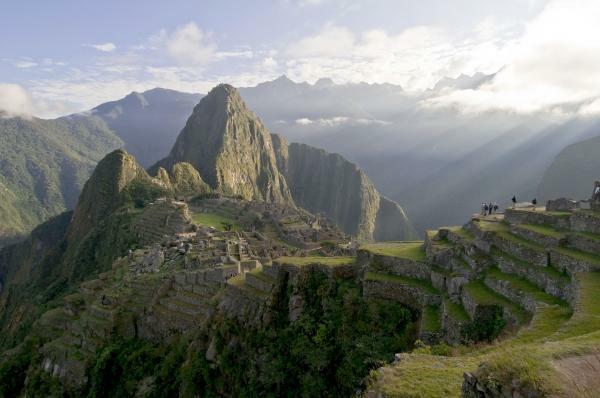 Optional: Hike on the classic Inca Trail, from KM 104 to the Sun Gate at Machu Picchu (subject to additional cost). 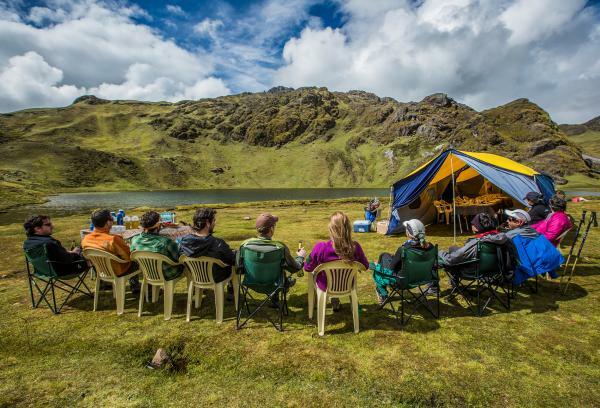 *Note: This option replaces the standard program day itinerary; this activity must be booked upon confirmation of your Sacred Valley and Lares Adventure departure date in order to secure the necessary permits. Your journey to Machu Picchu begins with a rollicking morning uphill bus ride. As you enter the citadel, prepare to be awed by the imposing, skillful architecture of the Watchtower, the Temple of the Sun, and the royal Inca residences, among others. After a two-hour guided tour, you will have free time to explore on your own, including a hike up Huayna Picchu*, the iconic mountain that looms over the citadel, or Machu Picchu Mountain** for dramatic views that stretch from the Urubamba River Valley to the edge of the Amazon Jungle. At some point, be sure to take a moment and sit quietly–listen to the wind, meditate, and absorb the mystical energy that envelops you. After the visit you will have lunch in Aguas Calientes before the return train ride to Ollantaytambo (approximately 1.5 hours) and sunset drive to your hotel in Cusco (approximately 1.5 hours). As night falls and you arrive amidst the hustle and bustle of the city, you will be touched by a feeling of peace and rejuvenation that will linger long after your journey home. *Note: Permits for Huayna Picchu are subject to availability; please consult with your MLP travel specialist when you confirm your reservation. 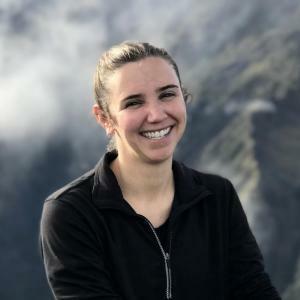 **Note: In the event that Huayna Picchu permits are not available for your desired date, Machu Picchu Mountain (the second peak within the sanctuary) permits will be secured instead. All-Group Cultural Activity (morning): Guided exploration of the Machu Picchu citadel (7,872’ / 2,400m). Cultural (late morning): Free time for further exploration. Active (late morning): Hike up Huayna Picchu or Machu Picchu Mountain. Transfer to the Cusco airport for you flight to Lima and connect with your international flight home. 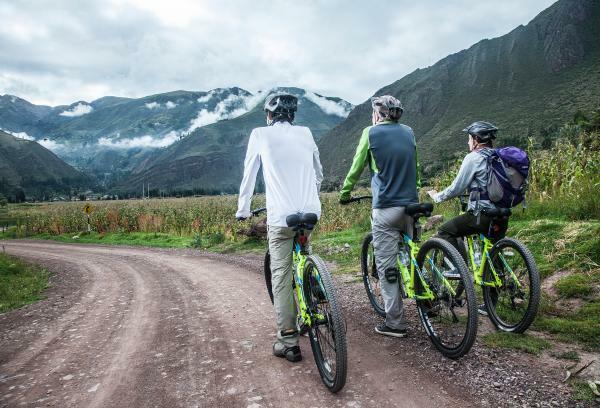 **An extended version of this itinerary can be offered to include one additional night at the Lamay and Huacahuasi lodges in order to further explore sites and trails in the Sacred Valley and surrounding backcountry, as well as at Machu Picchu ruins. Please inquire for more information. Inti Inn is located at a privileged and very safe, clean zone and very near Machupicchu's Parade Ground. Within two blocks blocks of the craft market, it brings together all craftsmen of the region. The Esplendor Hotel is located in Cusco, the ancient capital of the Inca Empire. It has 34 rooms, a courtyard and an exclusive spa. A beautifully renovated 18th-century manor house, just 3 blocks from Cusco’s Plaza de Armas, the luxurious Casa Andina Premium Cusco is replete with authentic colonial character. Built into the side of the valley, perched above the small town of Huacahuasi lies your respite from a day of adventuring. The lodge has 8 rooms, each with a private bathroom and terrace with seating and a personal hot tub. 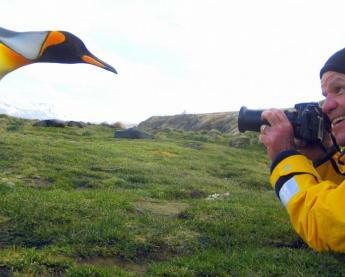 Kuychi Rumi Lodge offers a very special accommodation alternative for your stay in Peru. 13 multi-room cottages, surrounded by beautiful gardens and orchards are nestled at the foot of some of the most picturesque mountain peaks. Located on the edge of the small village, Lamay Lodge provides a comfortable respite after a long day of adventuring. The design combines traditional Inca building techniques and sensitivity to the surrounding environment. This hotel has recently opened outside the international arrivals area at Lima's Jorge Chavez International Airport, making it a convenient option if you have a late arrival to Lima or an early departure the next day. The Country Club Lima Hotel, a five star luxury property, is located in San Isidro. Built in 1927, completely refurbished in 1998, it is now considered a National Monument. Please contact us for available start dates. Machu Picchu and Huayna Picchu Passes are included - Let us know if you want to hike Huayna Picchu!